This was the likelihood local weather reports gave for snow today, specifically in the afternoon from noon to 3. It didn’t happen. 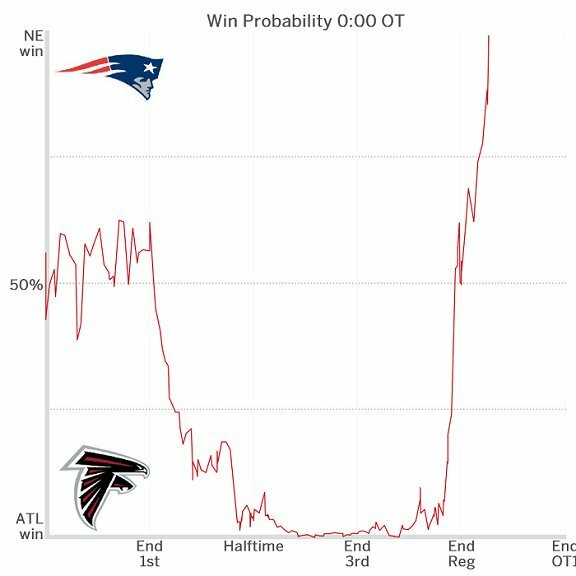 The Atlanta Falcons were another lock against the Patriots. Trump had no chance of winning the presidency. There is a false precision in every percentage figure. Especially ones approaching 100%.